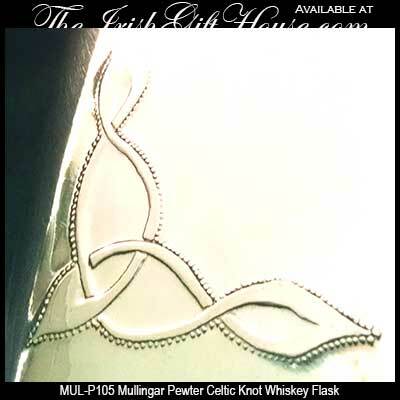 Mullingar Pewter flasks are available as both hip and round designs. These Irish flasks feature Celtic designs along with the Claddagh and shamrock. 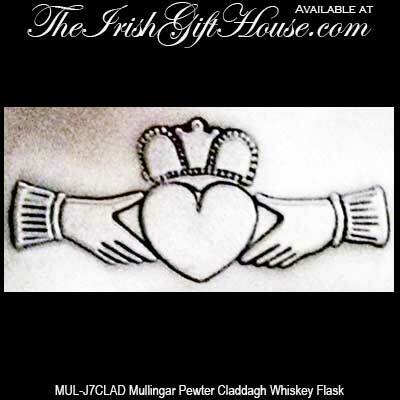 Irish flask is a pewter design from Mullingar that features the Claddagh. Irish pewter flask features a fisherman in action. 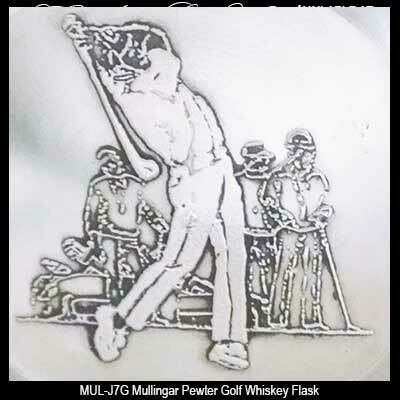 Irish flask is a pewter design that features a golfer taking a swing. Pewter Irish flask features a galloping race horse. Irish pewter flask features a hunter taking aim. 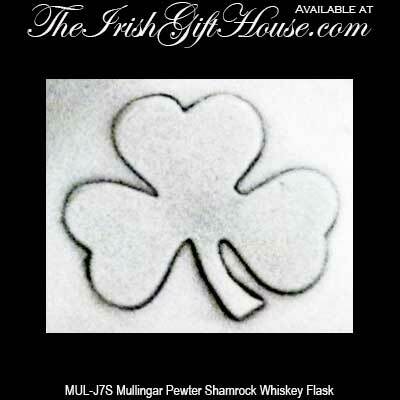 The Irish Gift House also features additional Irish drinking flasks that you may see in our Irish Barware section. In addition to our Mullingar Pewter flasks you will find Celtic designed stainless steel flasks with removable shot glasses. We also have an assortment of Irish cost of arms flasks that are available in made to order gift sets.